Have you ever think about a trip in which you can go out of this planet? If not, then think about it now. 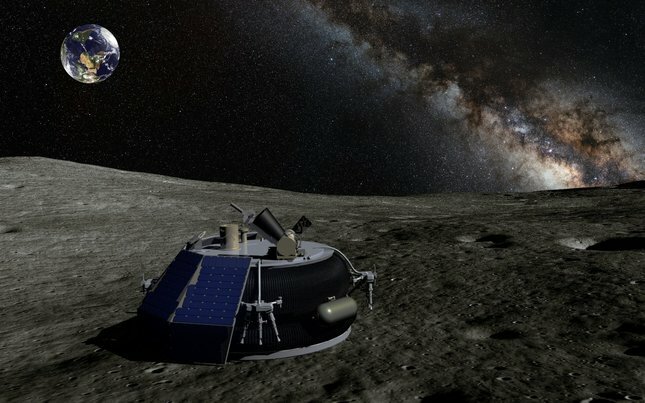 An American company MOON EXPRESS, which was granted permission last year that it can travel beyond the orbit of earth by the United States of America, has successfully raised investment up to $45m. The purpose of this company is to organize this trip is to create “Multi-Planetary Society” so that people from our planet be able to visit other planets. It is going to be this year and the first mission is going to be a robotics mission and we're going to be exploring the moon for the natural resources. But our ultimate goal is to not only use the resources for the benefit of humanity – whether it’s fetching the helium 3 or whether it’s fetching the platinum-grade materials – but also to use the resources to live on the moon. My hope is that our landing on the moon will simply be symbolic of what the entrepreneurs are capable of doing. So imagine, when we land on the moon, not only do we become the first company ever to do so, we become the fourth superpower. A private company arranging all these is a unique thing, because in the past only the government-funded missions from Russia, China and America have been able to achieve this feat and made successful landings on moon. If Moon Express accomplishes to do what they have planned, it would be a revolutionary achievement for Entrepreneurs as they have now another field to work in, to invest in and by the Possibility of Moon Express could also win the Google Lunar XPrize Competition. This will ultimately be a great achievement for them as a private firm. There are some others contenders as well who are involve in this mission like SpaceIL from Israel, Team Inus from India, Hakuto from Japan and an international team Synergy Moon.